In our meeting today, we were without Eddy, who, like a large number of people I know, is at GDC in San Francisco. Nonetheless, we somehow soldiered on. (Oh Eddy, just so you know, we made the change that Pugmire is about voles now). We are settling up an overall Gen Con strategy, reviewing possible Kickstarters for the next year, and what sort of prank, if any, to pull on April 1. And then, as we do each week, we ran through both Ramblin’ Rose’s list of where projects are in writing, development, and editing and indexing, and Mirthful Mike’s run down of where projects are in art direction, layout, proofing, and printing. Since I promised two weeks ago in the blog comments to explain each stage starting with the pitch (because it’s PITCH SEASON! ), and going all the way through with getting the projects up for all of you, here’s the process we use. But first, this piece of art, because I also promised to show more of our astonishing art from our projects. So Pitch Season is the time of year where we ask all our developers to submit pitches for new projects for their game lines and for anything they’d like us to publish. There is a standard practice where we give a dev who pitched an idea first crack at developing that project, but that isn’t always the case. After much trial and error, we now have the pitches sent directly to Ramblin’ Rose, who assembles them for review by myself, Rose, and one or two other folks who know the game lines in question. We’ll also often open up Pitch Season to our amazing writers once the dev pitches are in, particularly those writers who have delivered ideas that really make us sit up and notice their thinking. Regardless of source, I take all the ideas and look at how we want our game lines to grow, how various projects could come out in around the same time and play off each other, and what ideas build on previous projects or jump into all new directions. I try and mix a bit of familiarity with expanding our range in terms of what kind of experience readers and players will get, as I start pulling the pitches into a framework of releases. Once I have a line-up of releases, we run them past the line developer of that game in order to get their feedback and ideas. Sometimes we combine several ideas that make sense as one book, other times we swap one idea for a similar one more suited for the developer. At this point, I’ll create a run down that gives the short reasons for why each project is needed and cool, and submit that to our license owners; at this time the new White Wolf Publishing. We haven’t actually done this for new projects yet, so fingers crossed for this first “schedule” approval. CofD Dark Eras, Neolithic Mage full page painting by Brian LeBlanc. First, please be aware that these are general statements of process, and each developer has quirks as to how they do their job. Some might get their whole writing team together and then do the outline with each part already assigned to those writers, others might write the outline as a way to show prospective writers what they need. Or some combination of all that. Outline: This is the stage that sets up the expectations of the developer as to what the project contains. It should firm up word count based on the project line-up and description, and establish the subject and number of chapters and how much of that word count each chapter contains. This is also where, depending on the project, developers may include a project “bible” that describes the tone, themes, and details, of the project. This stage may also be one of the approval stages for the gang at WWP. Since only the dev is working on the outline at this point, we don’t include this on our weekly updates listing. First Draft: We do include this phase and all the rest, because now the project is being worked on by our phenomenal cadre of freelance writers around the world. This is the stage where the writers, armed with the outline and their particular part of the project, put down the first words that will eventually be submitted to the developer for review. We call it the First Draft, but most writers do many versions before submitting them to the dev. Redlines: This is when the developer reviews the First Draft and notes changes both to be sure the text is saying what they want it to, as well as making sure that it says what it says well. Although every developer is different, most feel very strongly about well written prose and this is when they will correct grammar, and spelling, and all that. So named because of the days when actual red ink was used on paper for the corrections. Second Draft: After having received, and in most cases discussed, their Redlines, this is when the writers will firm up their drafts based on the notes as well as their own tweaks. Development: Surprisingly, this is the stage when the developer will take all the finished sections, usually by different writers, and make sure that they still read like one coherent project. Do they contradict each other in bad ways, or are they both saying the same thing in different chapters? Neither is something we want. Part of this is also formatting, like having a quote in front of every chapter not just some of them, as well as making sure that the text has the proper format built in for the layout designer to drop into the game line design template. The finished, yet unedited text is also a place where we may submit for approvals to WWP. Editing/Art Notes: These are together because, ideally, in the time that the editor is catching misspellings, grammar mistakes, and even game line inconsistencies (if they are familiar with the game), the art director should have hired illustrators and sent out art notes based on the art notes from the developer. We’d like the artists to be sending sketches to the art director and working with them to create the finished illustrations by the time the edited text is ready. That way both text and the art that will fit within it are both ready for layout at the same time. We have found that this is the best time to have the art approved by WWP as well, so we aren’t trying to get new art for an almost finished book later on. Post Editing Development: Well, if the editor is going to find things that need correcting, it is the developer’s job to input those corrections. Sometimes, the editor also finds bigger problems with the text. Either way, this is when the dev makes the calls on what needs changing and how best to do that. After they are done, the text is handed over for layout. V20 Ghouls full page art by Mark Kelley. Layout: Text is ready, art is ready, and by this point we almost always have the design elements and InDesign layout format for the project ready. So, the borders, fonts, sidebar design, opening chapter page design, etc., are all set into the layout file and the text is flowed in. If done right, the text formatting is “read” by InDesign and changes the text to match those formats. This gives us chapter and sections titles and headers at the right size and font, and the italics and bolds where they belong. Art is then set in, and text is moved to accommodate it, as well as any sidebars and charts. Sometimes the graphic designer creates discrete sections in different fonts or on parchment, or whatever, as called out in the text. Most of the time those “To Production” call-outs are deleted by the designer. Once everything is basically in its place, the designer creates the first proof PDF for the developer to review. Proofing: This is not actually a sequential thing that ends here. For all of our books, we do the first proof so that the developer can be sure that the layout process has not changed or wrecked how the project text and visuals are supposed to work. Although fortunately, most of the time, this is another chance to catch things like comma placement and the like. The marked up PDF is returned to the layout designer, and corrections are made and another PDF proof is made. 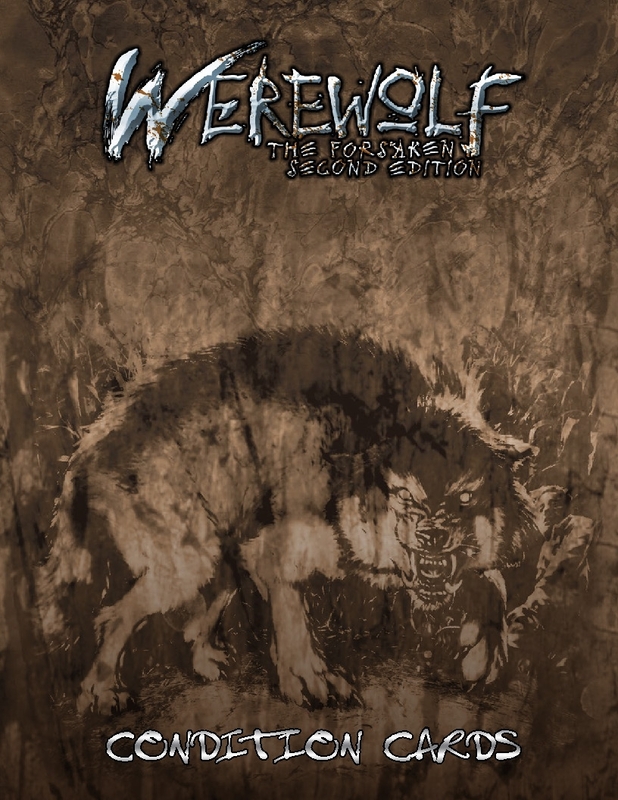 Usually, we have caught what we needed with the second proof and move on to getting the PDF out for approvals with WWP and then to backers if it is for a Kickstarter project, or on sale at DTRPG as an Advance PDF. Buuuut. Some projects are either so complex, or so important, or have a seriously messed up section, that they require multiple PDFs beyond the two for proofing. So far Vampire: the Requiem first edition still hold the record at 18 proofs. We really never want to do that again. We have, however, added the “community proof” phase, where we ask for input from our Kickstarter backers or Advance PDF purchasers on errata they might have found. It adds to the production time, but thousands of pairs of eyes beyond our own, as described above, really can fine-tune and catch issues that we missed from being too close to the material for so long. So that errata list is reviewed by the developer and given to the graphic designer for one more set of fixes and then they set up the final PDF files, the PoD printing files, and the traditional printing files as needed. Indexing: Except for indexing! If a book requires one, we need to be completely finished with proofing so the page count won’t throw off the page numbers in the index. We learned this the hard way. We usually have this update listed with the writing phases, since it’s still all about words (worms, Roxanne!). To Press: This means the project files have been put together and we have sent them out of house: to a printer (either traditional or PoD), or as a PDF on DTRPG, or for use on a website or whatever. Phew! So that’s the overview of how we go from ideas to a project you can have. And because it is an overview, let me know if you have specific questions or want more detail on some stages. I might not get to all of them in the comments this week, but it’ll let me know if I should devote a whole blog to that phase. 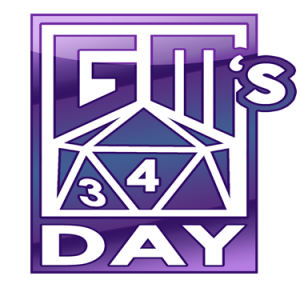 GM’s Day Sale at DriveThruRPG.com has 2 days left! Get all kinds of Onyx Path PDFs on sale at craaaaazy prices! 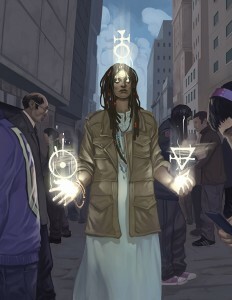 V20 Red List, V20 Children of the Revolution, and the Aberrant Storytellers’ Guide are just three of the possibilities! 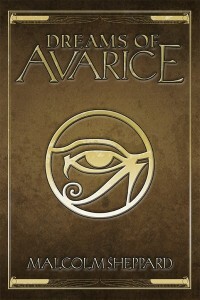 Dreams of Avarice is a personal manifesto penned by the Arisen called the Heretic. This in-character richly illustrated 6? x 9? volume exposes secrets and hypocrisies that underlie the world of Mummy: the Curse. Condition Card PDFs and physical card PoDs for both Chronicles of Darkness http://www.drivethrurpg.com/product/171574/Chronicles-of-Darkness-Condition-Numina-and-Dread-Power-Cards and Werewolf: the Forsaken 2nd Edition http://www.drivethrurpg.com/product/171573/Werewolf-the-Forsaken-2nd-Edition-Condition-Cards are now up dealt up at DTCards! Gen Con 2016 planning has started. We booked our rooms in record time, so we are sure of a place to sleep to recharge our tired Onyx brains! W20 Shattered Dreams – Trying to get the remaining artwork in for expansions. 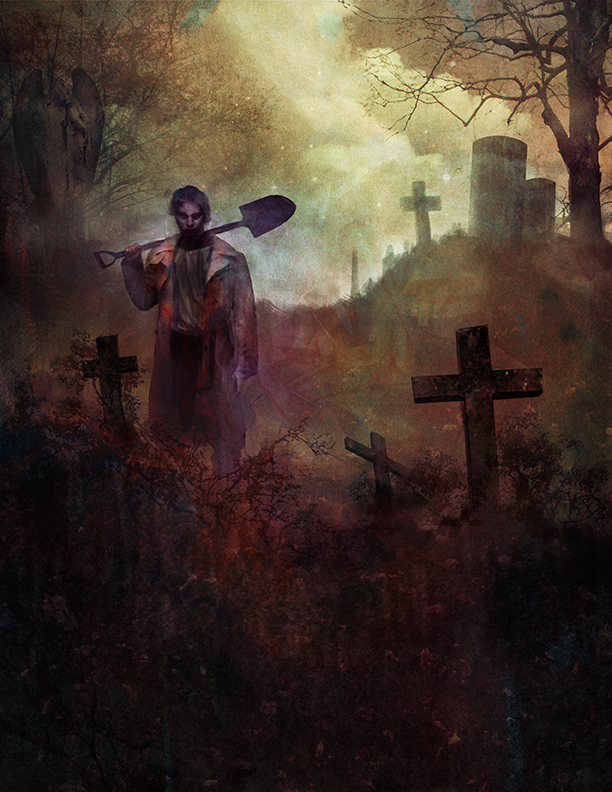 Secrets of the Covenants – Art coming in.. slowly. V20 Ready Made Characters – Got sketches in and going over those Monday. EX3 Backer Charms – Assembling art notes. Mage: the Awakening Second – In progress. 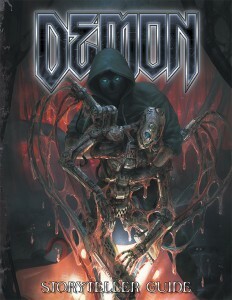 V20 Black Hand – Wrapping up the Cover and then it should be going out for approval. WtF2 The Pack – In Progress. Beast – Prepping final download and Print on Demand files. Ex 3 core book – From RichT: Indexing is half-way there. Dark Eras – At WWP for approval. Beast Anthology – At WWP for approval. TODAY’S REASON TO DRINK: Top o’ the mornin’ and faith and begorra! A drink for all those harmless snakes driven from their homes! ◀ Now Available: Condition Cards Aplenty! Will we see PDF copies of V20 ghoul and Black Hand on drive thru rpg prior to print? Sure, they are both non-Kickstarter books, so they’d be done as Advance PDFs. Four years in and we have yet to do a book that hasn’t been available as a PDF on DriveThru. Cool. Glad it worked for you! Has it been revealed what the next Kickstarter is slated as? Not yet, no. What would you like it to be? Honestly the last couple months have had so much gaming kickstarter both from opp and others I could use a little bit of a break. The beginning of 2016 really exploded with RPG KSs, didn’t it? No kidding, and other games as well. Joking Hazard and the final expansion for Heroes of the Multiverse were ridiculous. I’ve pledged on 4 game kickstarters in the last month, and someone else from my family pledged on another one. It’s been awesome, but I really need to not Kickstart any games for a while. It’s called Kickstarter Fatigue. I’m with you there. If you really enjoy KS as a venue for cool stuff, try cycling into other types of KS’d projects besides games. I do that. Lots of artists and musicians that could use a pledge to get their project going. I am actually pledged on a 6 episode animated series about historic women. I need to stop Kickstarter shopping I guess I should say. You are spot on about the general kickstarter fatigue. I did a large handful of RPGs and then one for episodes of RiffTrax since it was for a reunion show, and I had pledged the MST3K one and figured it was only fair to pledge to both creative groups. How about something CofD I think on average we only get a ks or 2 a year if that. We’re certainly looking at more options for CofD now that we have more freedom with the brand. And, because it bears saying in general, let me repeat that I don’t plan KSs based on how much love I have for a game line or that particular book, I plan them based on whether what we wanted to do with the book would benefit from a KS. The Deluxe books, which have been mostly 20th Anniversary cWoD books, have cover treatments that we simply could not front the cash for. So we have done a bunch of those on KS. Since at most we can do 12 KSs a year, one a month, and there is no way any of us could run that many, we’ve been limited by the medium to start with 20ths and fill in from there. Now, we are looking at more “event” KSs like Dark Eras that include a high degree of interaction with our backers, as well as needed Deluxe or Prestige format projects here and there. Well I never assumed it was favoritism. But now that you mention it. Really though. I totally get the 20th editions are getting super special awesome chocolat dipped editions and yeah that needs a ks. Just like I think the 2nd ed cofd books could benefit for something a little more flashy. What I love is that every new ks you do brings more to the table. The book plates for pugmire getting signed. I do want this on deviant. I just can’t get down to gencon to get a book signed. 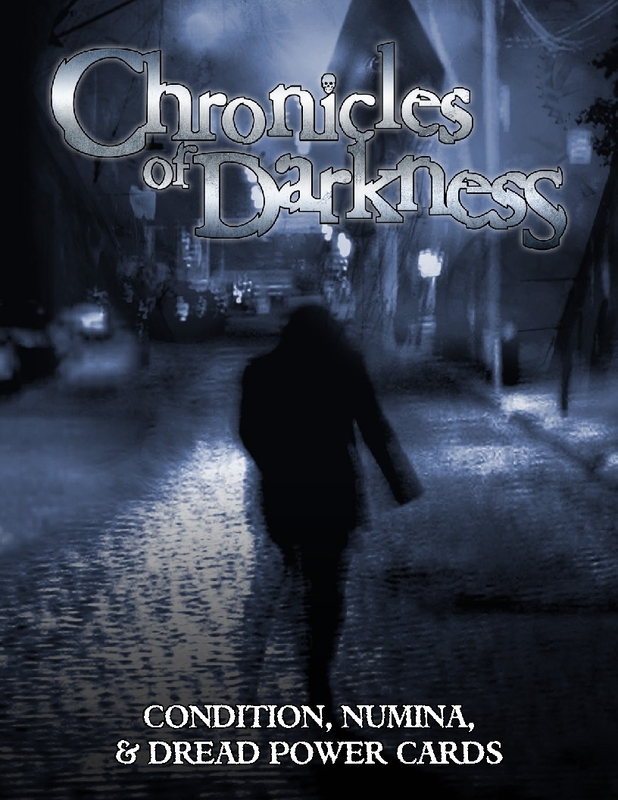 It would be cool to see something like what Evil Hat just did for their Fate More ks, but for the Chronicles of Darkness line: funding traditional print runs of already developed books. I’m not sure if OPP’s licensing and arrangements with DriveThru would allow that, but I think a lot of people might appreciate an opportunity to get a better quality core book and help the games they love get a presence in game stores. Actually already on the possibilities list. Not tricky with DTRPG but tricky to figure out how to structure the KS. The cost of trad printing leaves out the idea of any of these core books simply being Stretch Goals. Couldn’t you just list it as like “contribute this much and get a physical copy of one book of your choice” then add to that. I’m not sure everybody would be down for their contribution going to cores they have no interest in. Are stretch goals reasonable enough to do things. 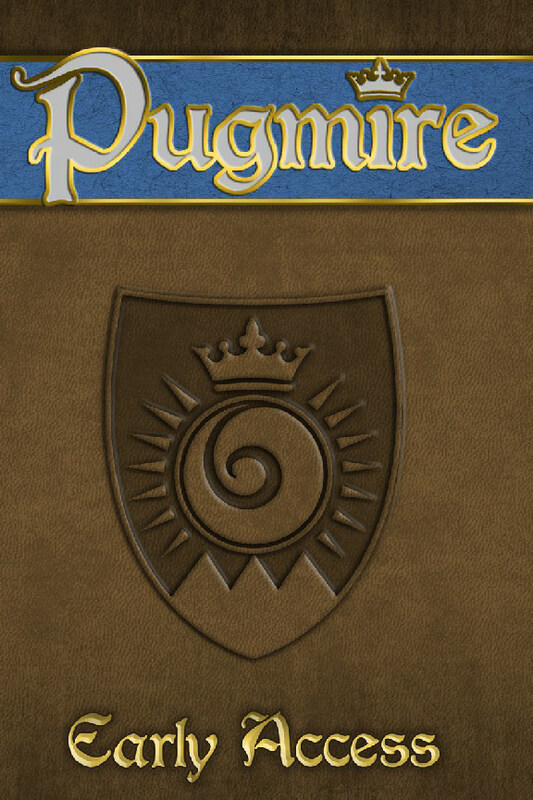 Like alt art and gilded edges? We run the risk of not having enough per individual volume for printing if folks can segregate their pledges. We need to set it up so that the end result is that the focus of the KS is printed for sure if the goal is met, whether that is one book or several. Well, probably a KS like this just doesn’t need that many Stretch Goals. Having a book in the quality of the V:tR 1st incl. copper foil and UV spots would probably suffice for most of us. But of course you need to do the calculation. To help with the decision you could create a poll on your website if this is really something people want. In a lot of ways, the KS is the poll. If we set it up so it works for us, but we don’t fund, then that’s a great indication that our approach, at least, is off. Of course, we haven’t failed to fund yet, but we would like to put some more experimental projects up on KS and see what the reaction is. Kuei-Jin. Please please Kuei-Jin Kickstarter. I absolutely loooove the Kuei-Jin and wanna see a 20th for it. After all, such a beautiful piece of work deserves the best! Would love to see a more permanent deal for dice for each gameline with the guys you worked with for the Changeling dice. Would be even better if you could make sets with those amazing pouches from when you sold em in game stores. Also would love to see the Zippos return. Awesome! One thing at a time though, OK? Yeah definitely. I guess I got ahead of myself in the excitement of you guys being reactivated and whatnot. Was thinking along the lines of possibilities for the next 2 years. Holy crap! Beast and Dark Eras at WWP for approvals? Mummy Fiction Anthology moving wayyyyyyy up? Art for Mage and Promethean? Is this a down payment on next Christmas? Told you guys the log-jam was breaking up. Going to be a good couple-three months coming up of releases! What an amazing post! Love seeing the details on how this all works. And, of course, I’m excited to see things moving steadily along. Excellent looks like V20 Ghouls and Black Hand will be coming in within the month, excellent. Really depends on how the approvals go, but V20 Black Hand certainly could be. 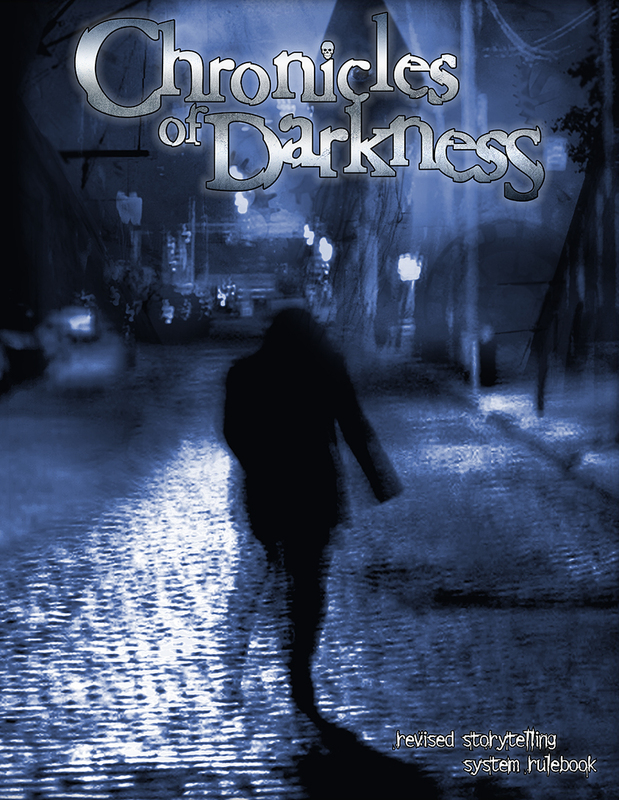 I don’t think I’ve seen this anywhere (so apologies if I’ve missed it), is Dark Eras going to be released separately to Dark Eras Companion. Or will they be released at the same time? 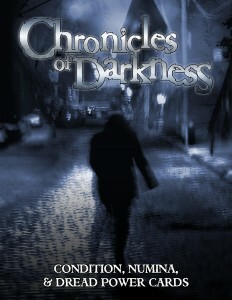 Dark Eras will be released first. Thanks! Now I need to look up which chapters are in there again! You, of course, have the right to feel how you feel, but no, for a book as big and complex as this the Index is one of the few things about this project that is happening in a reasonable time-frame. We were looking for an indexer for months, the PDF wasn’t even OK’d by all involved until sometime in February. Not impatience but curiosity, when did the book end up in the indexers hands? 2-3 weeks ago; whenever I noted that the PDF was actual final. If it’s only been a couple of weeks, that’s not too bad. And I would certainly prefer that the index be done right than the book being released too quickly. The first reference to indexing was back on 25th January, but perhaps that isn’t a fair timeframe if there wasn’t actually anyone assigned to it then. I think we’re just keen because we’ve seen similarly large (or larger) books, like M20, come and go while Ex3 is being done and now we’re actually playing the game we’re really feeling the struggles of navigating the book to look things up without slowing the pace of a session. Exactly, we want this done right and usable for all of you who are waiting. Thanks! That is some sweet art. Won’t putting art on the backer Charms delay them by several months? No, they aren’t delayed at all. Outlines: they take way longer than you’d think. How long do they tend to take? I’m curious both about core books and supplements. Thanks for your time. 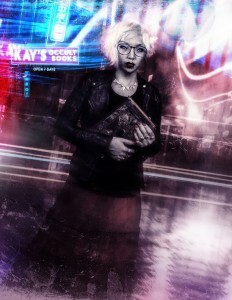 Right now, Scion – dual corebooks – is taking about three weeks, although a lot of that is going back to the World Bible and making little changes as I think of them. The outline is going to be at least 7k when I’m done. The Bible, by contrast, is sitting at around 20k. Core books definitely take longer. Supplements, since a lot of the ground work is already laid and a lot of times there’s a formula you’re following, at least in part, are a lot quicker. If I actually had a day to dedicate to it, I could knock out a Player’s Guide outline inside a day. And this is Black Hat Matt, folks, who you may consider an authority on game book outlines. Not only has he done eleventy-billion of them, but I often point to Matt’s outlines as examples of how they should be done. So I ask this in large part because I’m working on some private game projects that may or may not ever see the light of day, but would there be any way to share an outline of a book that has recently come out? I’m very curious about the level of detail that actually goes into a book outline. I assume you wouldn’t want to share a full outline for a book that’s still in the pipeline. These meeting notes are always a model of communication to dedicated fans. Thanks for them Rich and Crew. Also, more art = firin’ up mah pinterest! Do the Ex3 backer charms need significant art/layout/indexing? Or because they are likely much shorter (50 pages?) then the core means it’ll take a week or two. We need the cover and a handful of interior pieces. So many exciting projects! My only problem now is too many games to play! I too shall be starting an Exalted game shortly and I’m planning to run a number ofone-three shots from Dark Eras. This was everything I was hoping it would be! Thanks so much. Just one question though, can a project be in two places at once? Looking at you Beast, sitting smug in Indexing AND Layout. Looking forward to reading the Beast Anthology to my newborn. That should stimulate his mental growth right? Impressive artwork all around. I love how foreboding the prommie in the graveyard looks, saddled with some unsavory task. As for the massive alien-faced humanoid squatting by the fire? That’s when my PC back peddles the hell outta there. And if I were a writer with a pitch in mind? While not the freshest idea, I could see a conversion to second edition rules for marginal Mummy and the ghastly Geister being practical. That’s pretty much what I was going for in my Art Note request to Mike, yes, and I’m jazzed the tone of it went through to Andy Trabbold. It’s the chapter-opening art for the Introduction. Rich, have y’all ever considered partnerships with any of the software groups in the industry. Roll20 & Lone Wolf Development come to mind. I know there are files for Lone wolf’s character software but I would love to see campaign files for RealmWorks for Ex3. As the recent Mage game over Roll20 might have hinted, we are trying to get more involved with both them and Other online gaming sites. We would love to work with a comic company, but wanting to do something and pulling such deals together are two different things. To be honest I’d love to see OPP doing some of the big meta plot planning stuff with the properties you own and licensing out for that. Having an ongoing comic that develops the Trinity Aeon Verse as the games are released would be phenomenally exciting. Most game comics I’ve seen have been ok, but haven’t’ committed to long term plot development. I know optioning a Netflix series is probably out of scope for OPP’s bandwidth, but it would still be exciting to see you go with some other options that could scale later on. Oh, we have plans for other media for our properties. But the issue with Netflix and other licenses isn’t our interest, it’s those other companies’. As fans of a game, you and we are obviously really into the potential, but even a pitch that would excite all of us can fall flat out there. WW shopped around Exalted and nWoD back in the day and barely got any interest through the same channels they always used that got other lines licensed. That doesn’t really surprise me all that much unfortunately. I hate to think about what it would take to push into something like comics on your own. I imagine even the indie comic pipeline is pretty difficult to break into. Yes, exactly. We are massively interested in comics, being huge fans, but it is basically and fully setting up an entirely new company to create them as something that will continue and be successful. Hence, a one-shot from Zub for Ex3 coming out of the Kickstarter, because there were divertible funds to create it and no need to create a continuing series (although such a series is a cool idea and still could happen down the line). Speaking of experimental kickstarters. I could see a kickstarter to gather funds to get a small indie comic going. Even if it was only distributed via more online avenues since fighting into the pipeline is difficult. I would certainly back an effort like that. had a couple of thoughts on this process recently. 1. Doubling the time of Community proofing. The length of time we leave an errata thread up is based on the project and the activity on the thread. If your personal time frame doesn’t match up on a particular book, while I really appreciate your desire to help, it just isn’t the book you can help on. Similarly, our indexes are about 1000% more effective than the old WW’s, and even then there are always going to be some listings that aren’t in there. Great art for Mage and Promethean, love the whole dark and gritty feel going on. Hope we can see more of it in Requiem’s 2e supplements too! Is there a place where one can log complaints about Onyx Path products? I know the forums generally discourage any negativity of OP products, as do pretty much any social media sites or forums affiliated with Onyx Path. And I’d rather not ask these questions on Kickstarter, since I’m not sure that would be the appropriate place. So is there a direct line to OP or even a place where issues can be discussed where someone(or people) is unsatisfied with something? We don’t discourage negativity about our products, just look all over the forums and people are discussing issues they have with this or that, we discourage attacks on our creators and fellow posters. You can say, as many do, that you don’t like things without attacking or insulting the efforts of our teams or Onyx Path itself. You can say those things right here. But this is not about “attacking” fellow posters, forum users, yourself(which I would never do), or “attacking” OP staff. What if someone was generally unhappy about specific writers and/or Onyx Path staff? Can we report what we dislike about their work, etc. without it coming across as an attack? I’m, like, 100% positive I can discuss the things I dislike about a creator(s) without hurling insults about them. I dunno, it really is more about the why, as in why are you both unhappy with a particular writer and why would you feel it important to express that? For example, you might read a passage and you can tell that the writer didn’t do their research and it is liable to harm the game if we say there are NASA astronauts in 1900. If you say that passage was a lazy effort, then you are assuming you know something you actually don’t, and that assumption is that the writer was lazy and didn’t do their research. But, maybe the writer was describing a mind-set or even a costume as being like a NASA astronaut as an aside to modern readers, and the developer or the editor folded the section in to the regular text without realizing the writer’s intent. However, if you question the passage, as in “this makes no sense to me, how is this possible?”, then you open up a discussion about the work. Or, if this is a pattern that you have noticed, you can say something like “I don’t enjoy this person’s work because of examples like this, they take me out of the setting and I’m sure I’m not the only one. I feel cheated when it seems like basic facts aren’t researched”. So yes, there is a line, but criticism of the work is by and large something we encourage, with criticism of the writer being a tougher call that depends on wording and context. I’m hoping Beckett’s Jyhad Diary gets Kickstarted. I’m guessing it’s going to be Book of Nod like, as an in-game artifact. Sort of. The majority of the text is separated into flashpoints – setting elements Beckett interacts with. 75 percent of those chapters are meant to be in-character, with the artifact trappings that implies. The other 25 percent is straight talk about integrating the flashpoint and plot into your home game. There’s also an appendix about addressing metaplot as a whole and using metaplot elements and signature characters in your home game without overpowering your own plotlines. Cool art; I hope that the pieces from Mage and Promethean 2nd Editions are indicative of the overall designs in those games because they are great. 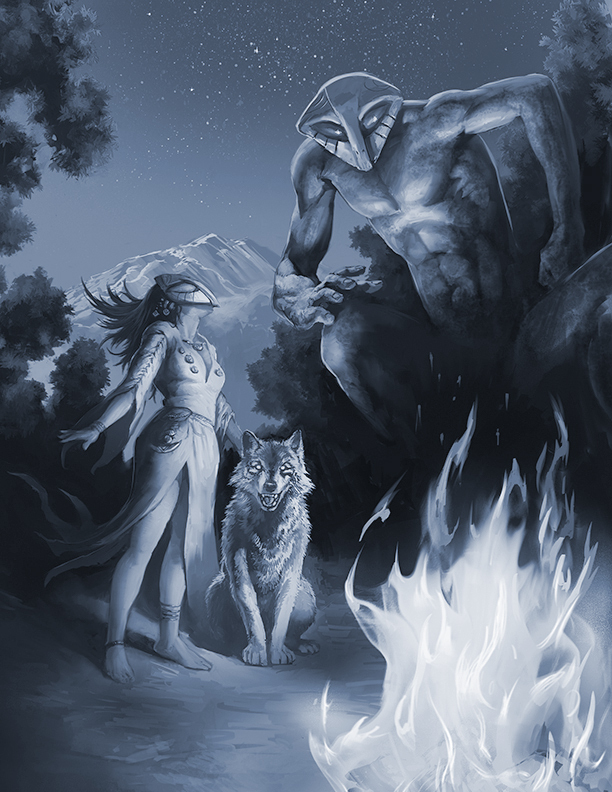 Also continuing to be excited for Beast and for Exalted 3rd Edition’s release. What are those cool runes on the Mage Artwork? 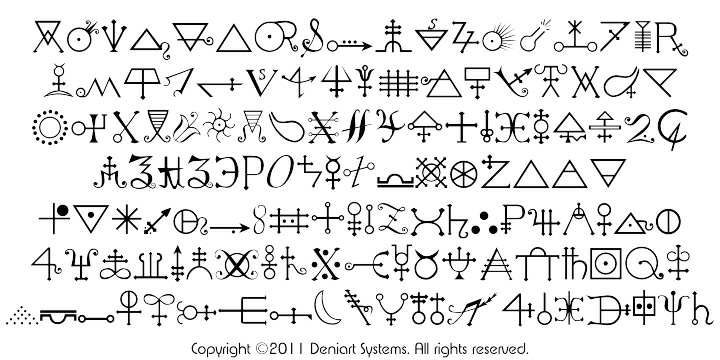 A lot of symbols used in both editions of Mage (and in Promethean, and Wraith, and…) are derived from alchemy symbols. In this case, it appears to be gold/Sun on the left side, Earth on the right side, and Antimony above the head. I don’t know if Andrew had something specific in mind (artists often do). Earlier someone asked about the next KS and from your reply it looks like you were taking votes/requests. I want to throw one out there for Scion. Even if the new mechanics are still in the playtest phase, can’t artwork and setting/lore get underway as well? Yes, please! I really want some Scion Goodness! I would certainly pledge for that. Neall’s still working on the outline for the first two Scion books. I think we want to get a lot further along than that before we do a Kickstarter. Scion’s Kickstarter is on the list already. It really makes no sense for us to launch a new game line without a KS. I am also looking foward to W20 Kinfolk which is coming down the pipeline slowly. And am glad that more M20 books are coming down the pipe as well. Also this is a VERY detailed notes which describe how it works behind the scenes and the possible delays behind them, as some of those processes listed can be long. Consider this another vote for Beckett’s Jyhad Diary to receive the KS treatment. If it looks anything like the Requiem clan-books, I’ll be over the fricking moon. I love Vampire metaplot. What’s the status of the non-core Exalted supplements? Arms of the Chosen has been sitting at Second Draft for more than a year, and The Realm and Dragonblooded have both been there for several months. Is there a policy of not doing development-phase work on supplements until Ex3-core ships (indexes and all)? Is that just… how long Exalted books are going to take, now, perhaps because of bottlenecks in the production process? Those are their statuses as far as reported by the Devs. There were several periods where the Devs needed to concentrate on working on the proofs for EX3, which left the other projects slowed until that phase was done. I know there were multiple times when changes to EX3 informed changes to the next books. We certainly have no “don’t work on X, until Y is done” policy, the work flow is determined by the creative team. Hi Jason! Usually, with our Deluxe Kickstarters, there is no way that we can accept pledges after the KS is done. Right now though, the situation may be changing and as I explore Backerkit for post-KS activities, we might have options to allow non-backers to “Pre-order” Wraith 20th and Changeling 20th. Keep an eye out on my Monday Meeting Notes blog here and should we be able, I WILL be talking about it! Thanks! 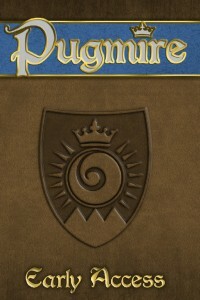 I wonder why there are no V20 source books detailing major cities and the NPC’s within them. 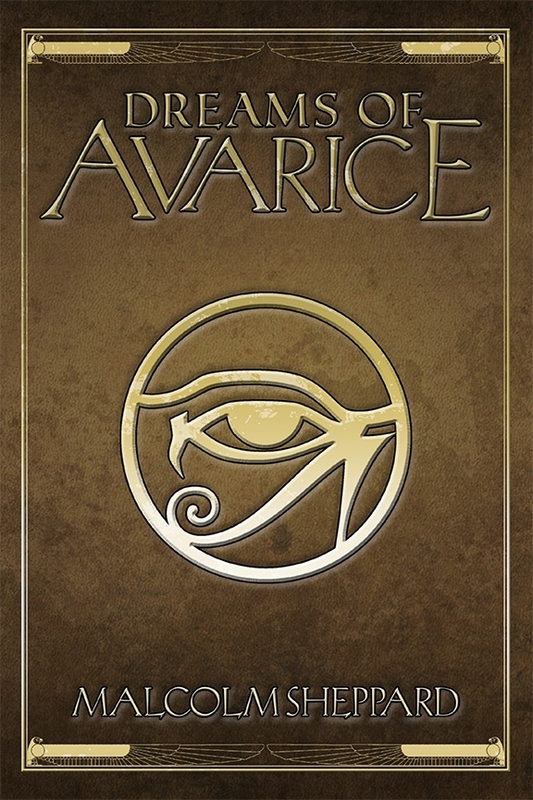 A sandbox book (since that seems to the rage at the moment) like LotC but with Sabbat and cam controlled cities. Which details the in universe history of said city, the court/controlling faction and major NPCs, interesting locations and current plots, events and ideas for storylines. In the 90s seems every major RPG line had these kinds of sourse books D&D, shadowrun, vtm, etc and seemed to do well. And reading the forums people are craving for this kind of support book when I bring up the topic. I’d suggest this be something to discuss going forward as I and I know others would back this in a heartbeat. Traditionally, the “by Night” sourcebooks for Vampire never sold particularly well. 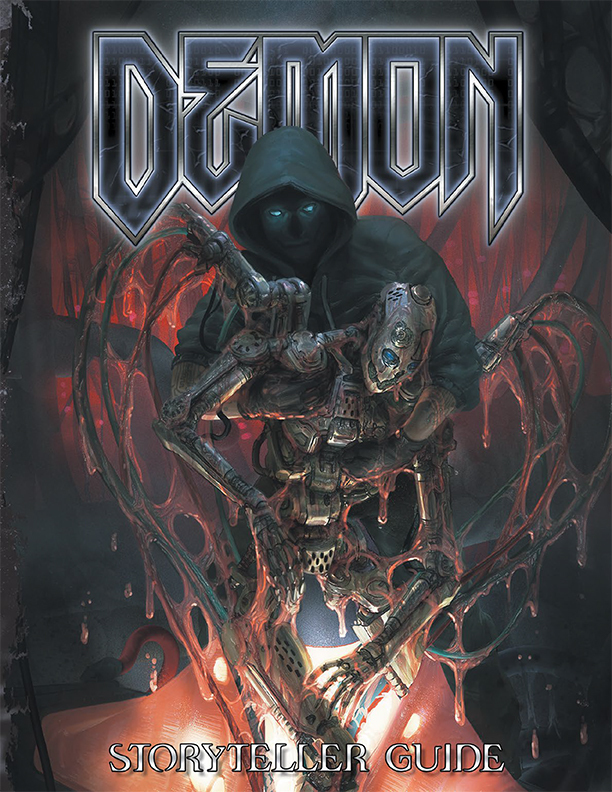 That’s not to say a project of this type won’t be considered, and something of this ilk will definitely be in the V20 Dark Ages Companion, but in the meantime Damnation City is a fantastic resource for Masquerade and Requiem both.